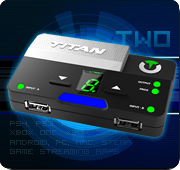 Titan Two is an all-in-one gaming device that combines features of dozens of products in a single form factor. Use your favorite gamepad, keyboard, mouse, fight-stick, wheel and virtually any gaming controller on consoles and computers. 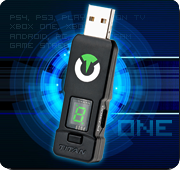 Program your Titan Two with downloadable Gamepacks and scripts for the ultimate edge on local gaming or competitive multiplayer matches. Create your own scripts with Gtuner IV to have full control over your gaming experience at the millisecond precision. All console specific features, such as motion sensors, touchpad, chatpad, speaker and headsets, are supported. Compatible with PlayStation 4, Xbox One, Nintendo Switch, PlayStation 3, Xbox 360, Computers and more. Exclusive MODs, combos and macros (i.e. rapidfire, jitter, drop-shot, anti-recoil, turbo button, etc) can be easily enabled to any game with a simple drag-and-drop of Gamepacks or community made scripts. No chips to install, no tools required. 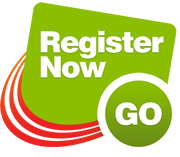 Create scripts, combos and macros at the millisecond precision. Program automated commands in reaction to events. Simulate motion sensor and touchpad actions. The possibility are endless. 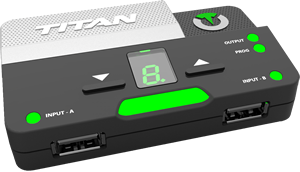 Gtuner IV is a multi-platform software for programming, updating and configuring the Titan Two device. Far Cry 5 Gamepack is now available!